By now many of you will have heard that the world’s leaders were in Paris recently to bash out a plan for tackling climate change and environmental protection. 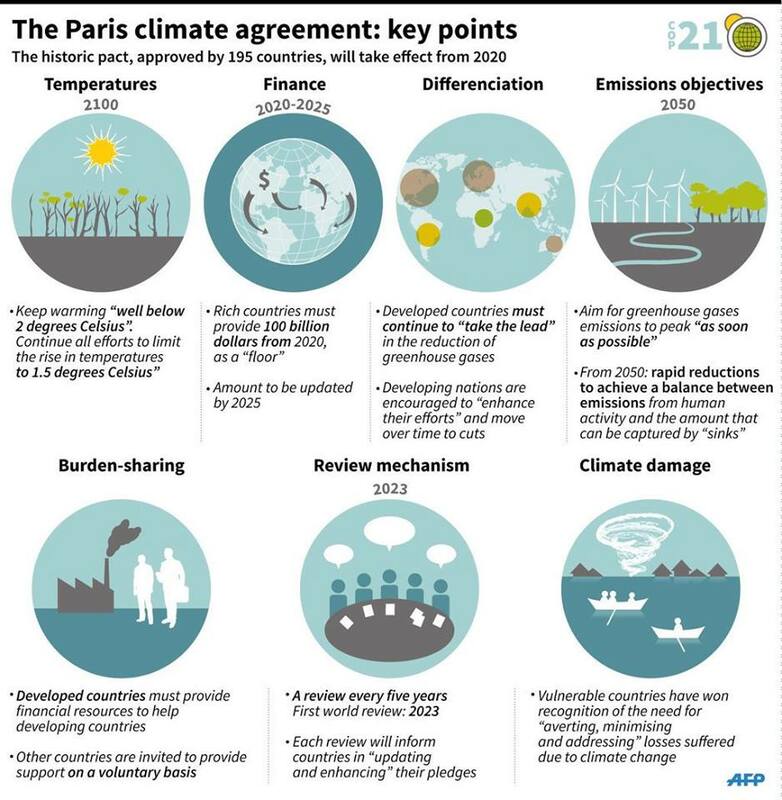 Known as COP21 (the Conference of Parties), 190 country governments have now agreed an historic deal to collectively tackle the growing concerns of global warming, summed up in this helpful infographic from Sustainability Illustrated. 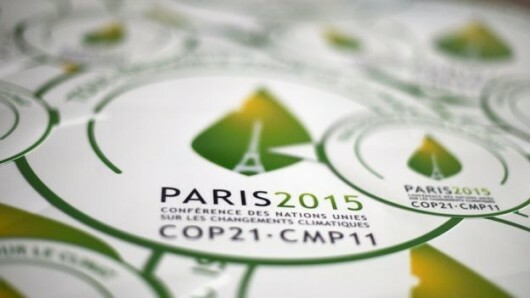 Why is COP21 so important? One of the reasons why this climate conference has drawn particular attention from the world’s media is the lack of agreement in the past to ratify a clear pathway for collective action. The previous global climate conference (COP15), held in Denmark in 2009 was deemed a rather chaotic affair with little agreement as to how to act and therefore continuation of ‘business as usual’. It is precisely the collective participation and the collective agreement for action that is so important to focus on when negotiating and agreeing on a global pathway to more sustainable development. In a globalized world where most consumer goods are produced within global value chains (supply networks) that span several continents, taking responsibility for one’s actions becomes an important negotiating tool. However, the world is never that simple. Often countries that are rich in natural resources, which are used as primary products for manufacturing (e.g. forests, agriculture, natural gas, oil), such as Tanzania, often do not benefit from the value-added processes associated with their resources. These higher-value processes take place further afield in, for example, the richer countries of the The West or East Asia. As a result, the lower-income primary producers lack the funds to sufficiently tackle and regulate their own sustainable development agendas. Add to this countries that are not as heavily involved in the global chain of production, such as small island states (SIS), climate change can have a significant and direct affect on life – such as rising sea levels and vulnerabilities to natural disasters. 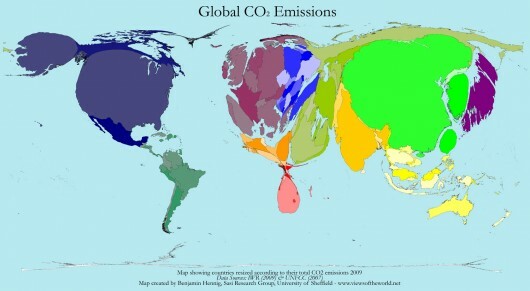 The following infographic attempts to provide a snapshot of the distortion that appears when we look at which countries contribute the most CO2 emissions (a green house gas). “…a large-scale, long-term shift in the planet’s weather patterns or average temperatures. Earth has had tropical climates and ice ages many times in its 4.5 billion years. Since the last ice-age, which was 11,000 years ago, Earth’s climate has been relatively stable at around 14 degrees Celsius. However, in recent years the average temperature has been increasing”. – UK Met Office. The Met Office (the UK’s weather forecasting body) goes on to distinguish different signs of climate change: high temperatures, changing rainfall, changes in nature, sea level rises, retreating glaciers, sea ice and ice sheets. 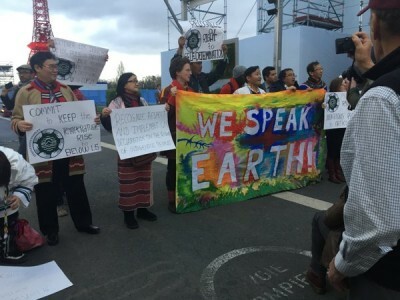 How inclusive was COP21 to the world’s voices? One criticism that came out of COP21 negotiations was the lack of significant action to include indigenous communities as key actors within the climate change agenda. COP21 had a very ‘top down’ feel to its direction; decision making being at the highest level with implementation strategies being put together in offices across the world, ready for rolling out into regions and communities. “You cannot solve a problem with the same mind that created it”. – Albert Einstein. “We are nature, we try to live and we live in a way that does not harm nature, because we see Earth as our mother. We care for her, we respect her and we have to protect her”. – Nina Gualinga (Environmental and indigenous rights activist, Ecuador). To what extent decisions made at COP21 will be transformed into definitive actions and at what speed, remains to be seen. No plan is a success without the tools and acumen to implement it and at the rate that many countries are developing economically (especially fast growth plans such as in Tanzania), it may require radical politics and great expense to change direction.